The Los Angeles Clippers have lost their star trio of Blake Griffin, Chris Paul, and DeAndre Jordan during the last 18 months, although the team has somehow managed to stay competitive. During an injury-plagued 17/18 season, the Clippers managed to win 42 games, although the team narrowly missed out on a playoff spot. This season is shaping up to be even better, as the team has quietly ascended towards the top of the Western Conference standings thanks to an impressive 17-13 start to the season. The Clippers currently have a better record than teams such as the Houston Rockets and San Antonio Spurs, which is an impressive achievement, as the Clippers team lacks any stars. Nevertheless, this could change in the summer, as the franchise has a genuine belief that they can lure All-Star Kawhi Leonard. 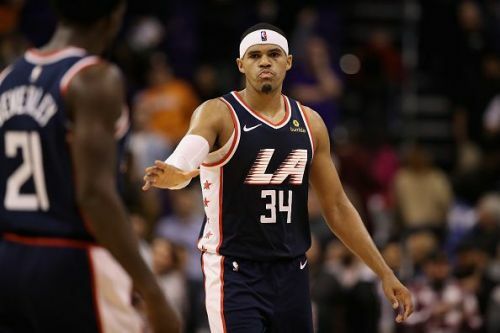 Despite this, the Clippers will still feel as though they are in a position to compete this season, and here are three players that could be moved on, so that the Clippers can pursue other targets. Milos Teodosic did not make his NBA debut until he was nearly 30 years old, however, he was a useful player to the Clippers last season. The guard averaged 9.5 points, 4.6 assists and 2.8 rebounds in his 45 appearances, and it looked as though the Serbian would continue to improve in his second season. Despite this, the former Euroleague star has seen a reduction to his minutes this season. The 31-year-old is averaging just 10 minutes per game, which is a major decrease from the 25.2 that he averaged during the 17/18 season. 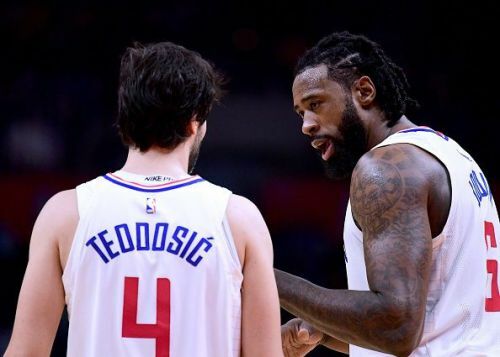 Teodosic himself has stated that he is ready to leave the franchise, and the Clippers should look to offload the player this month.